This Online Kata session is inspired by a former student whom I’ll call Jacqui. Like most students at the Issho Dojo, Jacqui would take a break from training during the summer months. Jacqui was a good student but a bit lazy. 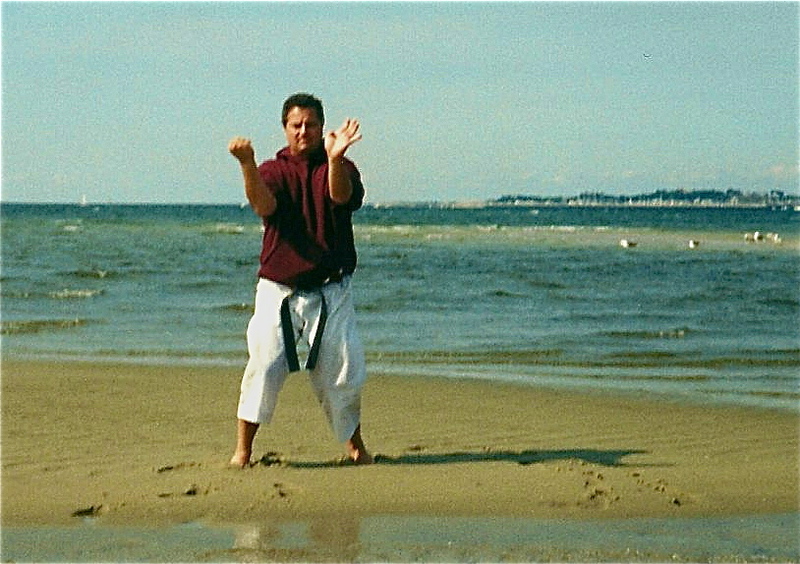 Summer vacation also included a vacation from karate. 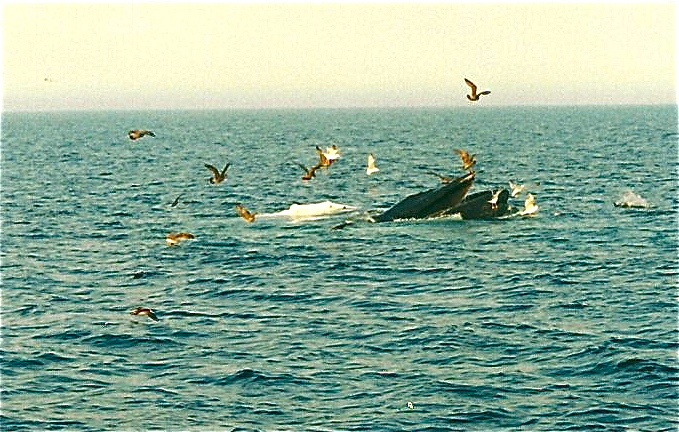 As a result, often she would return having forgotten a kata or two. One summer was different. After a full summer at camp, she returned to the dojo. Her first night back at the Dojo, I wanted to gauge how much she forgot. While her kata were a bit awkward, I was amazed that she did not forget any kata. I told her that I was happy she found time to practice while at camp. To my surprise, she told me that she did not practice any kata the whole summer. Rather, she informed me that “lights-out” was rather early and she often laid in her bed unable to sleep and bored. To alleviate her boredom, she thought about her kata and mentally “practiced” them. 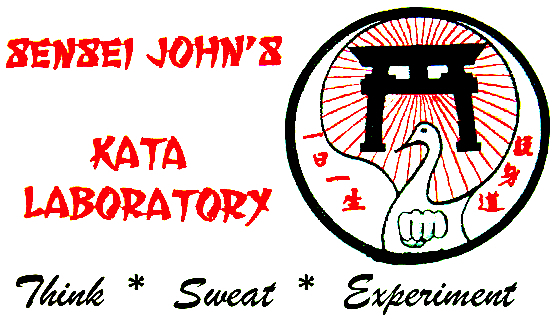 With that conversation with Jacqui, the seeds of this kata lab were planted. Though Jacqui eventually stopped training, her “legacy” lives on. You may find your schedule so busy that you do not have adequate time to practice your kata daily. During those times, you should endeavor to at least practice your kata in your mind. Like Jacqui, this practice can even occur late at night in bed. 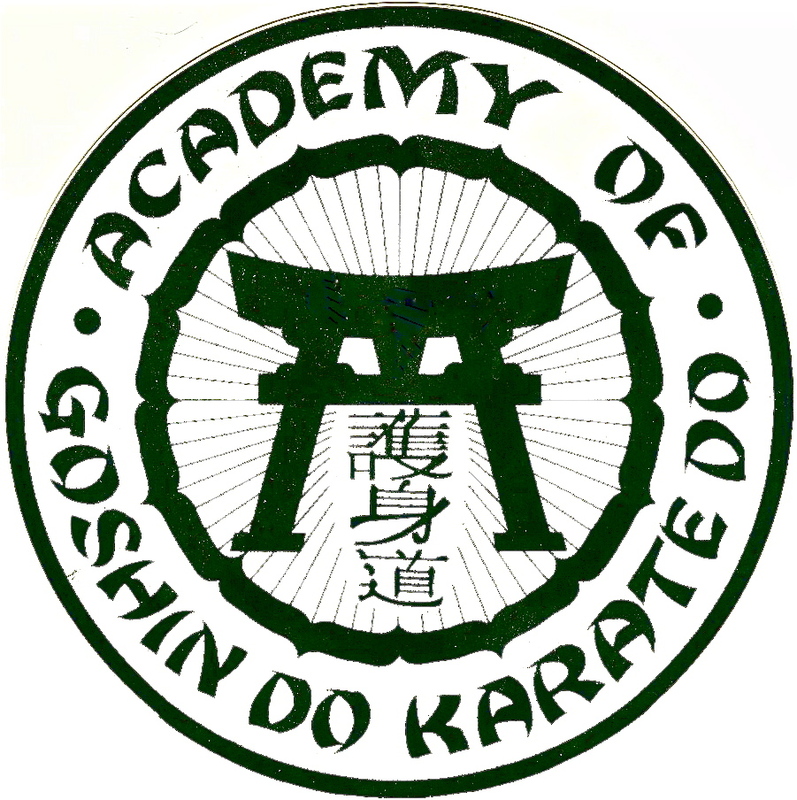 So, to get you started, I offer this “Kata of the mind – That’s OK” (Online Kata) session. 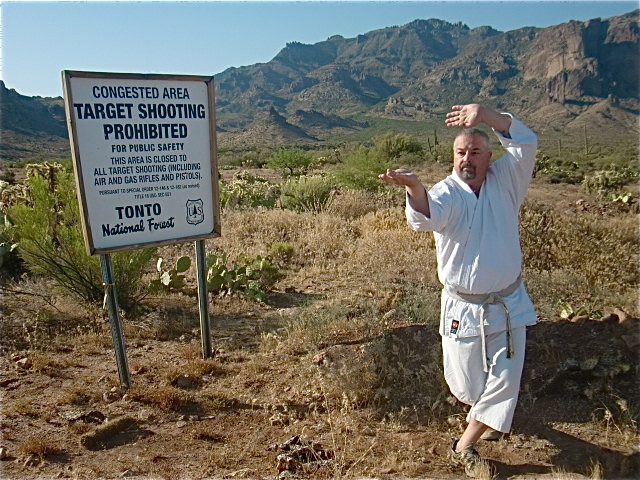 • Maintain the proper focus and mental attitude as if you were physically doing the kata. • Visualize how the different terrain affects your mental kata. Should you be aware of slippery surfaces? Is the kata being visualized going up or down a hill, if so, what is the effect? Although we like to think of our world as one of harmony, it is in fact a balance of chaotic, opposing forces – hot/cold, large/small, active/passive, joy/sorrow, good/evil and the like. We desire harmony in our lives. Such harmony is only possible when we recognize the opposing forces that lie without and within ourselves. We may have little influence over the factors that are external to ourselves, but we can directly influence the factors that lie within ourselves. To do so, we must not desire to suppress them, rather, we must recognize the darkness, the sea-monster, if you will, that lies within us. 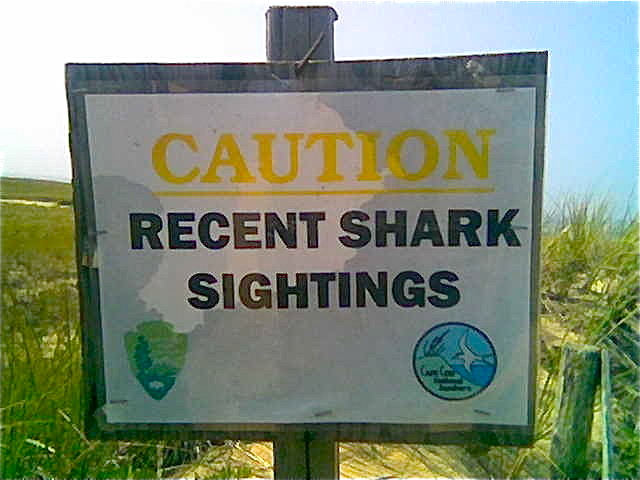 Once recognized, such sea-monsters can be dispelled. To this end, I offer this “. . . thats OK” (Online Kata) session. The last requirement of this “Thats OK session is to remain in a state of “Zanshin” (the “remaining mind”). Once again, you may wish to not only perform this session as scheduled, but may wish to incorporate it into your regular practice.